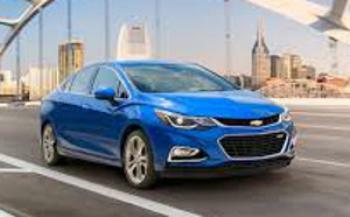 General Motors is recalling 111,966 model year 2016-2018 Chevrolet Cruze LS vehicles, equipped with a gasoline engine and a tire inflator kit instead of a spare tire. The vehicles may leak gasoline following a rear-impact crash and a rollover. A fuel leak, in the presence of an ignition source, increases the risk of a fire. The manufacturer has not yet provided a notification schedule. Owners may contact Chevrolet customer service at 1-800-222-1020. GM's number for this recall is 18159.